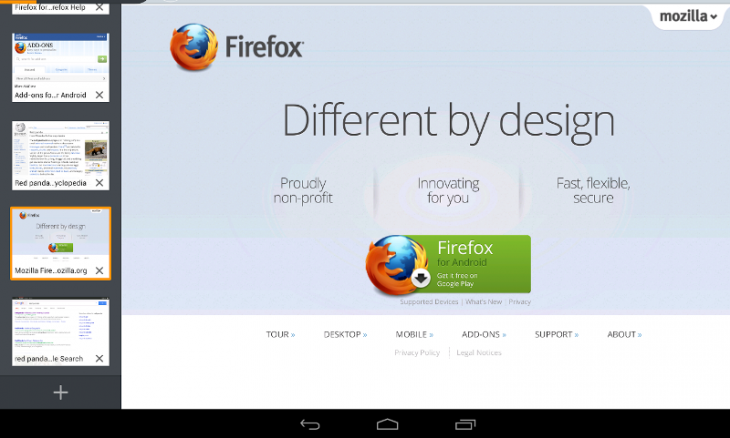 Mozilla has given a glimpse of what’s to come for its mobile Android browser with the latest beta version of the app. Besides UI tweaks, the app features a guest browsing mode which lets users share their mobile with others whilst protecting any active tabs, bookmarks, history and so on. The other user simply clicks to end their session when they’re done, and all data for that session is deleted. The owner can then pick up where they last finished. Other updates include the ability to set wallpaper images and contact photos by long-pressing any Web image, an updated Settings menu, mixed content blocker and support for 3 new languages – Ukranian, Romanian and – wait for it – Irish. You can check out the full release notes here, or download the app and read the Mozilla blog post below.